If you were a suburban kid in the ‘80s, you probably knew someone who made a slasher film with their home camcorder. It was practically a rite of passage to grab some friends, head out into the woods and shoot your version of a Jason Voorhees film, before editing your masterpiece on a top-loading VCR. But if you are anything like the writer whose words you're reading, you probably don't still have a copy of what was likely a pretty embarrassing enterprise in hindsight. But if you're like Eric and David Wilkinson, you may just have a big-league DVD of your childhood film adventure. 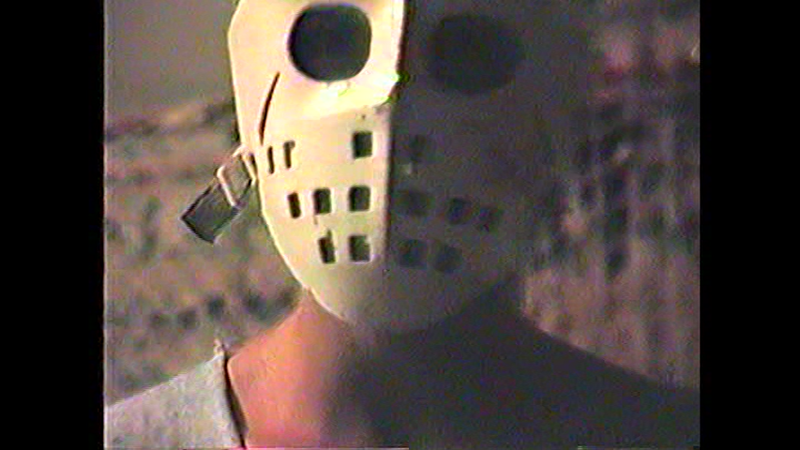 As teens, the Wilkinsons took a love of horror and a rented VHS camcorder and created a short horror film, The Violence Movie. The movie is somewhat nonsensical and lacking even the barest of plots, as an escaped killer slips into a man's home, dons Freddy Krueger and Jason Voorhees masks and battles the man to the death. The filmmakers brawl and play with special effects and camera trickery until there's nothing left to do, and the film peters out. And yet, there would be another film made, as The Violence Movie 2 rehashed the first film before diving into much the same material as the original movie, with a modicum more ability and much crazier stunts, including a rooftop battle that is genuinely frightening when you realize these guys are two stories up, play-fighting with no safety nets and no training. This second film is a bit more charming thanks to the higher level of ambition in terms of the stunts, but it still suffers from the same shortcomings, including bad acting and some lazy errors. Supposedly these films gained some level of renown amongst pre-Internet tape traders (where rarity was often more valued than quality), but once you remove that factor, the entertainment level is questionable at best. It's certainly admirable to see these guys do their own thing, embrace their passion and create a film on their own terms, but the results are hardly quality films. The movies are not presented as they were originally created, as both films feature new, polished opening titles and credits and refreshed sound, along with some new clips that were shot 15 years after the original productions. Though you can see the original elements elsewhere on the disc, it would have been nice to see the movies as their were originally made. The draw here is the home-grown, zero-budget, amateur-auteur feel, and with the clean-up the movies were given, some of that appeal has been lost. 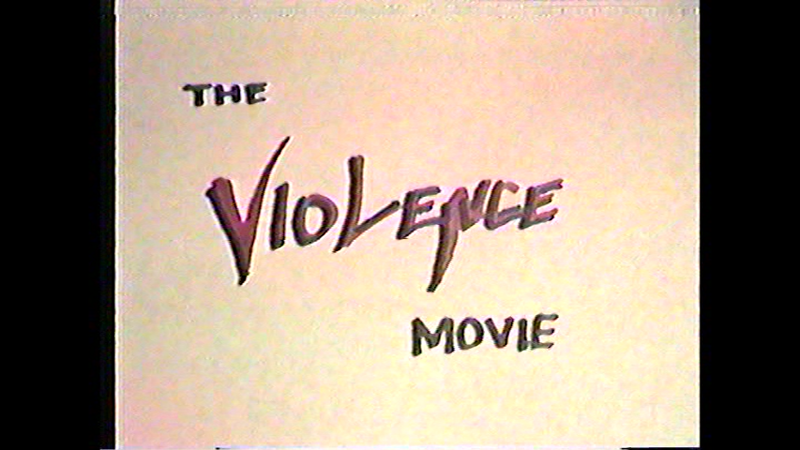 MVDvisual delivers both short editions of The Violence Movie on one DVD, which is packed in a clear standard-width keepcase, with a two sided cover (one for each film) with both paying homage to the VHS box art of the past (the Warner Home Video homage of the second film is a personal favorite.) The animated, anamorphic-widescreen menu features VHS-glitched footage and options to watch each film and check out the extras. There are no audio options, nor are there subtitles. 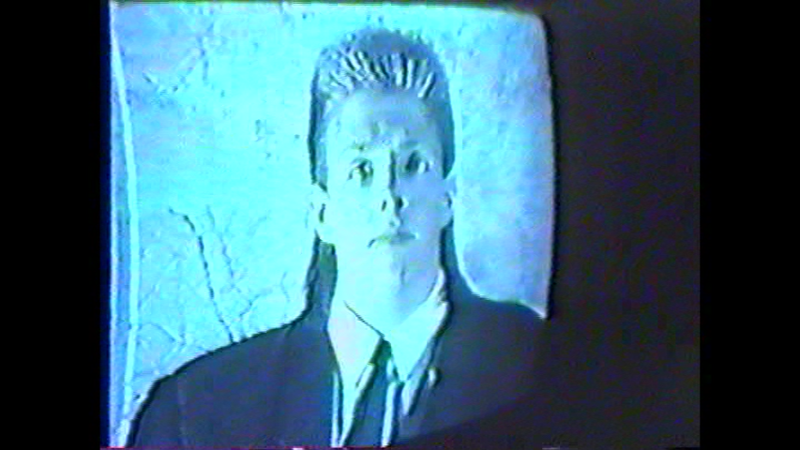 It's a bit hard to judge the video quality, considering the films were shot on VHS video in the ‘80s. The DVD presents it as columnboxed full-frame, and it doesn't look terrible, displaying all the "qualities" you expect of the time, including tracking problems, harsh color, focus issues and video noise. Small bits were shot 15 years after the original film, but they don't stand out much in comparison. Considering the source and low expectations, there should be no complaints here. As far as the audio is concerned, things are a bit better, as the sound was redone for this release, including new sound effects and a new score courtesy of Friday the 13th composer Harry Manfredini (whose classic horror score was pirated onto the film originally.) As a result, the Dolby Digital 2.0 tracks sound far better than the films look, but actually less connected to the films. They do sound pretty good through. Considering the two films combined run just shy of 34 minutes, it's a good thing the disc is loaded up with bonus content. The extras start with commentary track on each film courtesy of the Wilkinson brothers and their friend Mike Kahn. These are jokey affairs, and they poke fun at their films and point out errors they made, while discussing changes made to the shorts. The participants in no way take themselves seriously, which makes the tracks easy to listen to. Deleted scenes and outtakes are available for each film, with 3:45 for the first film and 9:40 for the sequel. There's some goofy stuff in here, but it's most noticeable for the awful Philadelphia-area accents. "Violence in ‘03" (5:36) looks at the 15th anniversary reshoots that fixed some scenes in the films, but it is similar in tone to the commentaries, as the Wilkinsons goof around as they shoot. Though new titles and credits were created for the film's modern release, you can still check out the analog versions from the original films (1:24 and 1:43, respectively.) There's an amusing innocence to this footage. If you want even more cut footage, "Scrapped Violence Movie" gives you a 9:26 look at the film's original sequel, featuring a larger cast and a different storyline. The movie wasn't completed however, as the Wilkinsons and Kahn explain in an optional commentary track over these clips. An automatic photo gallery offers a very quick peek at some script pages, concept art and packaging designs, while trailers are available to watch for The Violence Movie, The Man From Earth, The Man From Earth: Holocene and Lycan. The idea that a homemade horror short like The Violence Movie and its sequel got a legitimate DVD release is the dream of every wannabe Hooper and Romero, which is all the reason slasher fans need to be excited about this DVD, though it's not going to be of much interest to casual viewers of the scary stuff, outside of as a novelty. MVDvisual has treated the films well, and included plenty of bonus content, making up for the brief nature of the main features. If you dig kitschy home-made films, you will likely get a kick out of this release, but most will wonder what the big deal is.